Spring Training is finally in full swing, and as I am putting the finishing touches on this bad boy, I see a post in my Facebook feed saying Kendrys Morlasses has hit his first dinger. Yay, only 299 more to go to justify having you in place of the Parrot King of Homers (I kid, sorta). Anyways, I don't really follow games during ST, mostly due to times that they air, partial lack of TV coverage, and the lazy part of me just waiting for the small highlight clips the next day on TSN/Sportsnet. 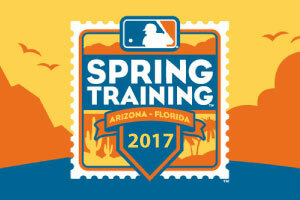 The part of me that does like ST is mostly because the league kinda abandons the traditional NL and AL when it comes to Cactus and Grapefruit leagues, and it opens up some games against teams we may not really play that often or at all during the course of the regular season. 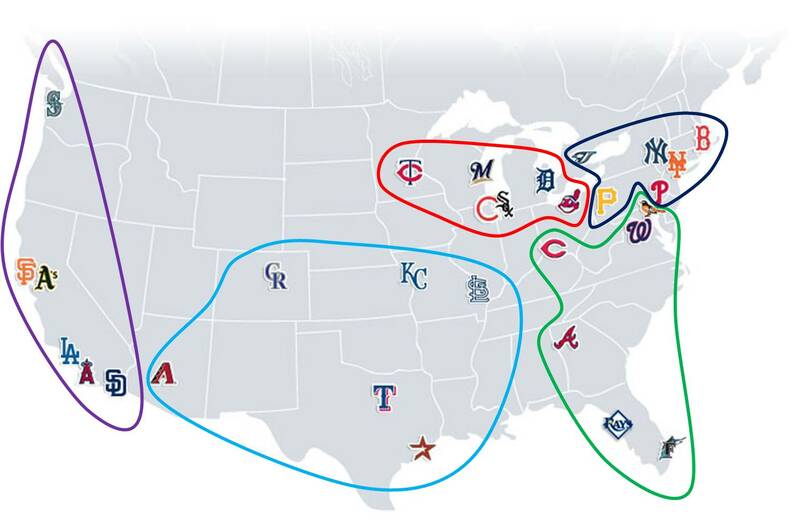 This opts for 5 divisons with 6 teams, mostly based on geographical closeness and gives us some cool new match-ups team wise. 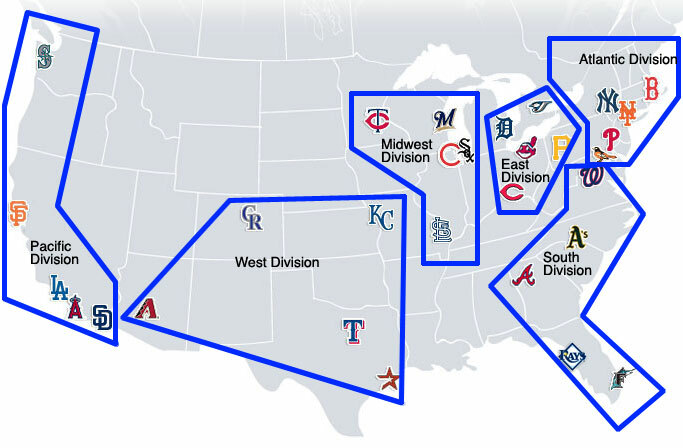 Only issue would be deciding where that 5 division should lie, unless it's gets split so we have 4 divisions ala NHL style. This one is simply boiled down to East, West, and Central (yawn…). 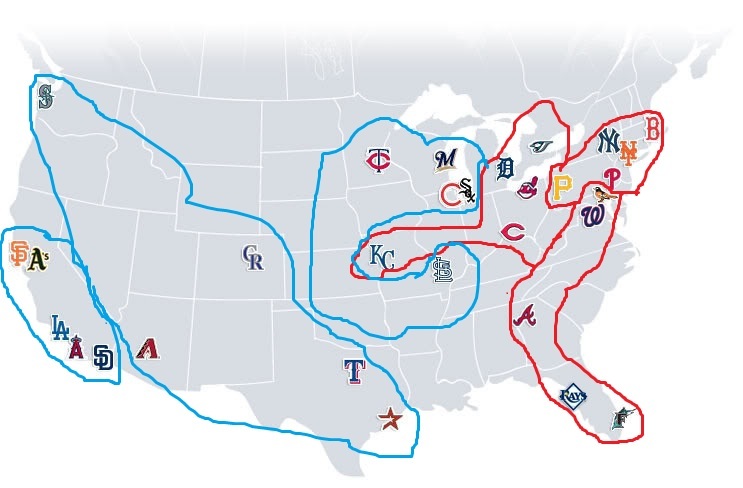 Lastly, these two are probably the most interesting, as one shows having the A’s moved to Charlotte (bonus points if you come up with a name that’s different), and a whole new set up for each division on each map. 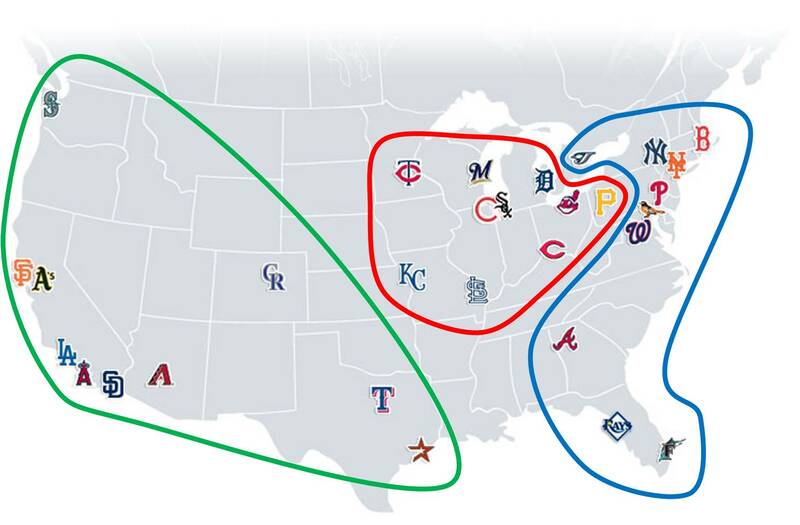 Say goodbye to the current AL East as well as all the other semi-important divisions, and hello to a division that still sports some fairly fierce competition (sorry Cincinnati) and one that would even gives us KC a division rival (should you like/want that). Comment on what you’d want division and league wise if you could change it!